Prayer Service for Jose Chapa Ybarra, 71 of Lubbock will be Wednesday, October 24, 2018 at 7:30pm at Calvillo Funeral Home Chapel with Brother John Hernandez officiating. A Funeral Service will be celebrated on Thursday, October 25, 2018 at Calvillo Funeral Home Chapel with Sr. Pastor Tito Ortega officiating. There will be a visitation on Wednesday, October 24, 2018 from 10:00am to 9:00pm Cremation arrangements were made under the direction of Calvillo Funeral Home and Chapel. Jose went to be with the Lord on Saturday, October 20, 2018. 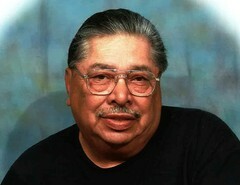 He was born on June 20, 1947 in Frentess, to the late Domingo Sr. and Julia Ybarra. Jose was a lifelong resident of Lubbock who enjoyed traveling, listening to music, and shopping at Walmart. However; his greatest joy and love in life was being with his family. He is survived by one son Joseph and his wife Melinda of Lubbock; one daughter Patricia and husband Thomas Calzadiaz of Lubbock; one sister Olga and husband Leo Arrizola of Lubbock; nine grandchildren and twelve great grandchildren. He is preceded in death by his parents, a sister Sylvia Chavez (June 24, 2011) brothers; Armando Ybarra (1981) and Domingo Ybarra II, and a daughter Christina Marin.